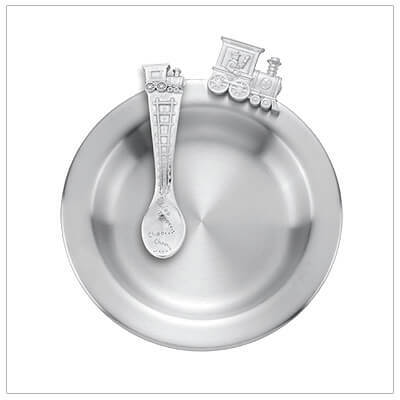 A new baby boy, and what to get? 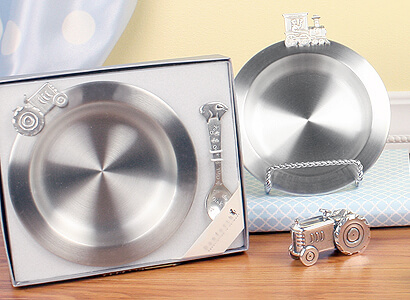 We have some wonderful gifts for baby boys. 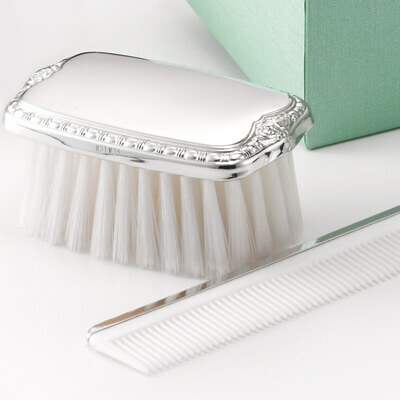 Personalize a brush and comb set or sterling spoon for a traditional gift that will be cherished. 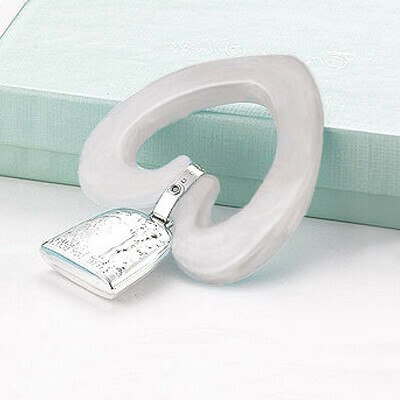 Choose a classic band ring in white gold that he can one day give his bride. 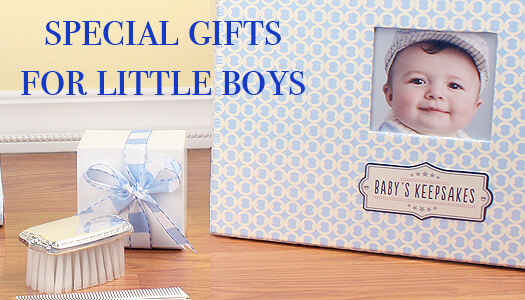 Our gifts for baby boys are quality made items you will be proud to give. 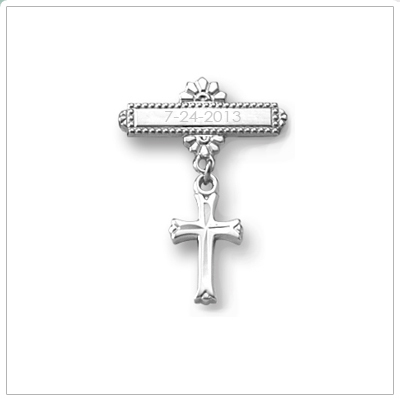 Sterling silver Christening or Baptism pin with a Cross. 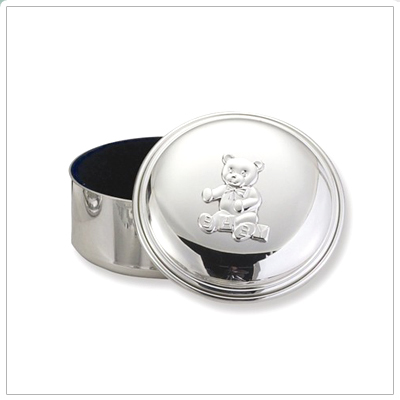 Engrave a name or date. 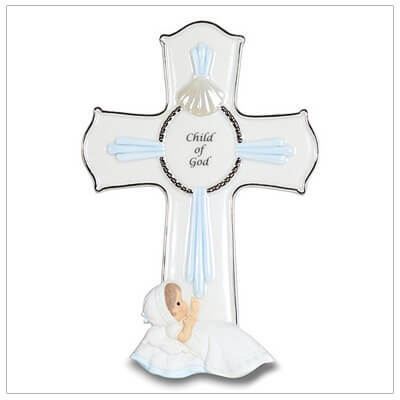 Baptism gifts. 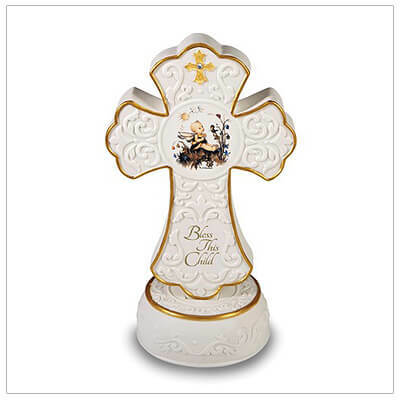 14kt gold lapel pin for boys in a budded Cross design. 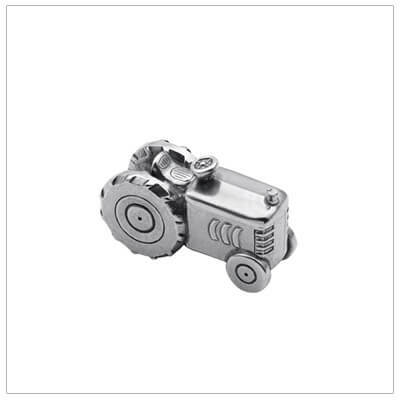 The pin is easy to attach and beautifully made. 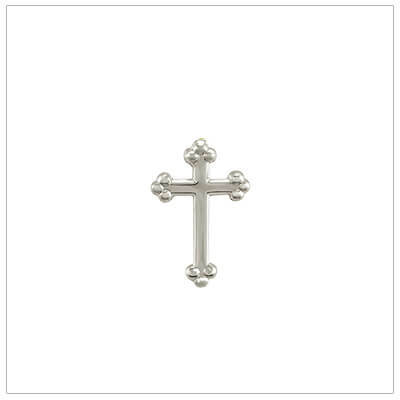 14kt white gold lapel pin for boys in a budded Cross design. 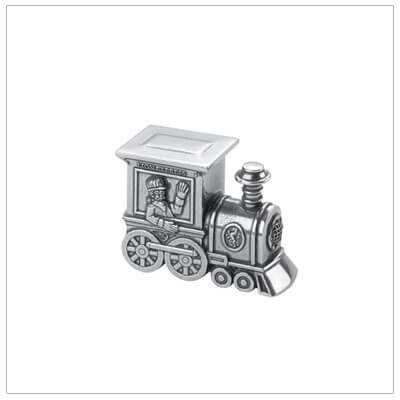 The pin is easy to attach and beautifully made. 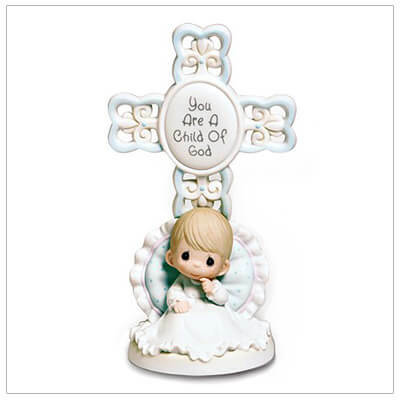 Porcelain wall or tabletop plaque by Precious Moments to commemorate a Baptism or Christening. 100% organic. 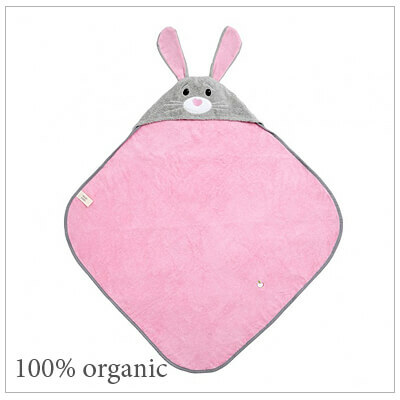 Adorable soft cotton terry hooded baby towel in a bunny design for girls or boys. 100% organic. 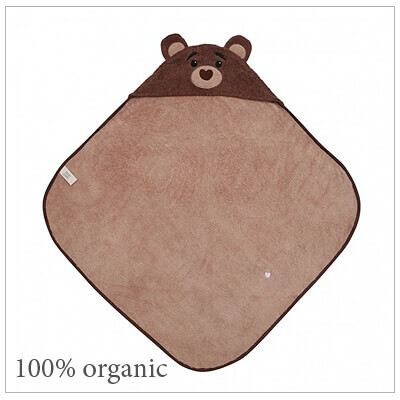 Adorable soft cotton terry hooded baby towel in a bear cub design for little boys. 100% organic. Soft blocks for babies and toddlers each with its own sound: bell, rattle, or squeak. 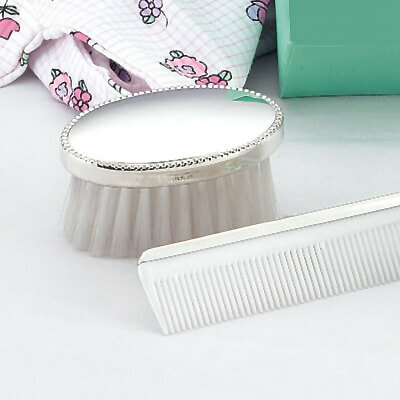 100% Organic and hypoallergenic. 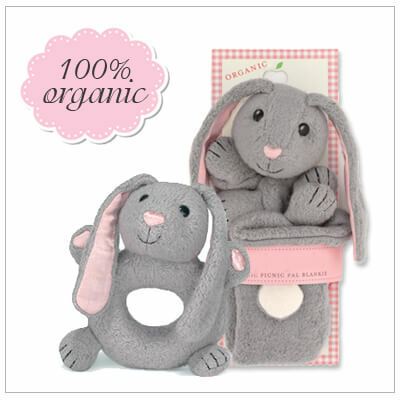 Includes a precious Bunny blankie and Bunny rattle teether. 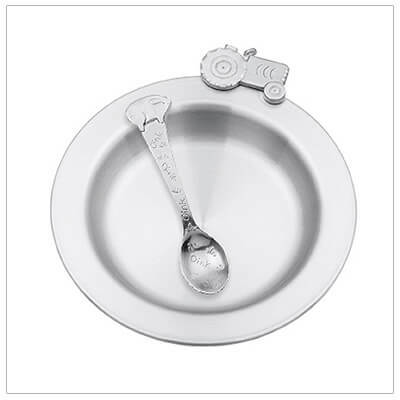 100% Organic and hypoallergenic. 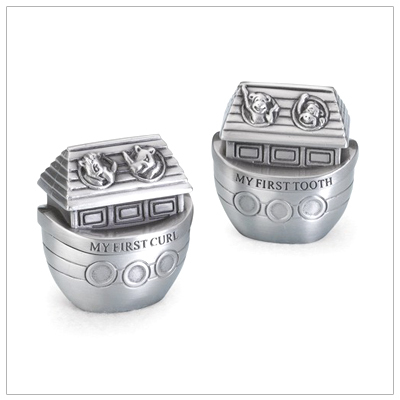 Includes an adorable Cubby blankie and Cubby rattle teether. 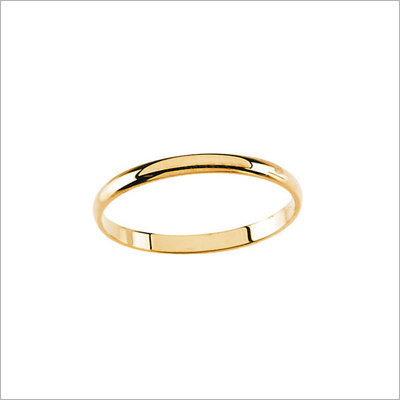 100% Organic and hypoallergenic. 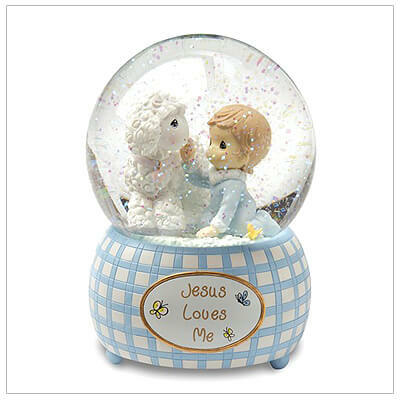 Includes an adorable Lamby blankie and Lamby rattle teether. 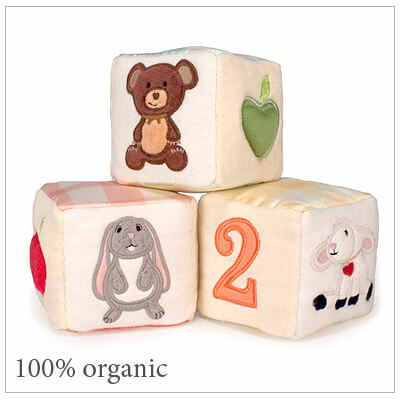 100% Organic and hypoallergenic. 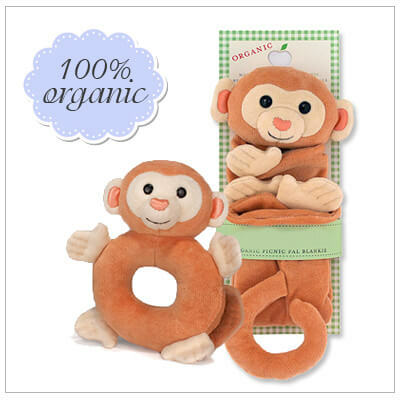 Includes an adorable Monkey blankie and Monkey rattle teether. 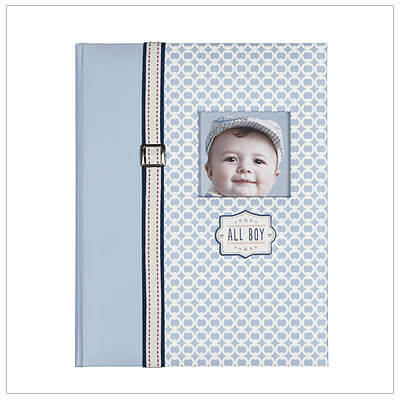 Handsome bound memory book to record baby's milestones for his first 5 years. 68 pages, padded front. 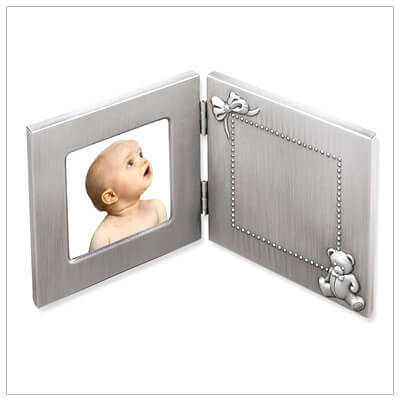 Elegant keepsake chest for storing baby's mementos. Memory book fits in top, 2 pull out drawers. 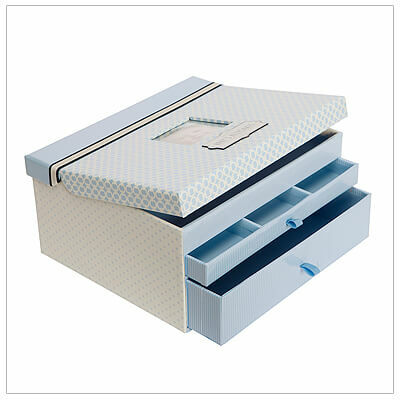 Handsome keepsake chest for storing memory book, birth certificate, photographs and other mementos. 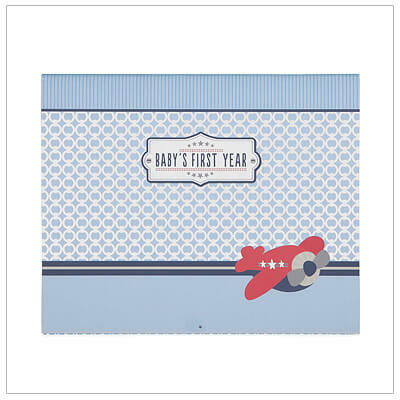 Precious first year calendar for baby boys. 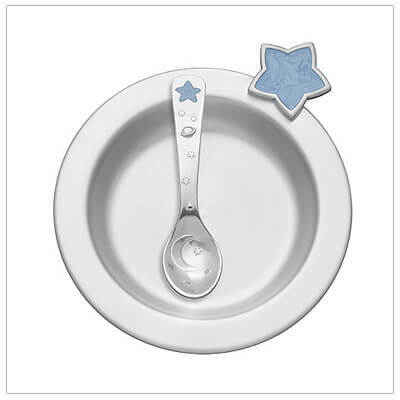 Easy way to record special events; special stickers included.